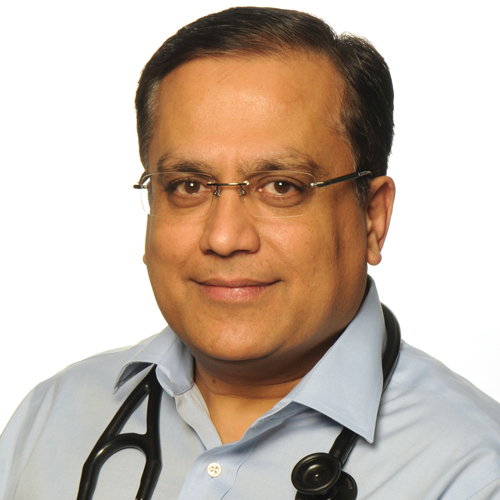 Dr. Bhandari has completed his MBBS and MD (anesthesia) at JIPMER, Pondicherry, India, and has lived in the UK since 1995. Dr. Bhandari works as a consultant in Anesthesia and Intensive Care at Pinderfields General Hospital, Wakefield since 2000. His main areas of interests are major burns, regional anesthesia, and disaster management. Dr. Bhandari is the course director of the MYRAG regional anesthesia course, and teach on various regional anesthesia courses nationally and internationally. Dr. Bhandari was a part of the emergency medical relief in Haiti in 2010 and has been doing charity work in Sierra Leone for the past four years, where regional anesthesia techniques have been put to good use. He is part of an international faculty on burns, especially temperature management and has presented papers and lectured all over Europe and South Asia.